A salty gravy can ruin a meal. As a component that is supposed to tie everything together, gravy’s role is integral but usually limited to the background. Too much salt instantly brings it to the forefront in an unpleasant way. A salty gravy can result from the addition of too much salt, but it can also come from excessive reduction. While you will not be able to remove the salt, there are remedies for this issue. Fix your salty gravy by following the tips below. The best way to make gravy less salty is also the best way to make many foods less salty—you make more of it without salt and add the unsalted batch to the salty batch, which reduces the concentration of salt. While you do wind up with more food than you intended to make, you also get to rescue an unpalatable dish. In cases where only a little too much salt has been used, it may be possible to dilute your gravy with only a little water or unsalted stock. 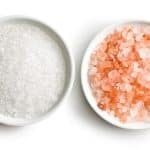 Of course, diluting is not always a perfect fix for excessive salt since it involves using more ingredients and can be time-consuming. If making more gravy is not the right solution for you, consider one of the other solutions below. Dairy products serve as excellent all-purpose fixes for the overuse of many seasonings. They work by coating the taste buds, which makes them less sensitive to flavors like salt. Along with diluting gravy, milk or cream can also change its texture and make it richer. Changes in texture and the addition of mild flavors can help to distract from the salt. Starches are often used to thicken your gravy and can help with excess salt as well. Appropriate starches range from corn starch to pureed potatoes. You can also puree beans and add those to your gravy. They add bulk, which aids in dilution. If you don’t want the thickening effects, you can still use starch to fix your salt problem. 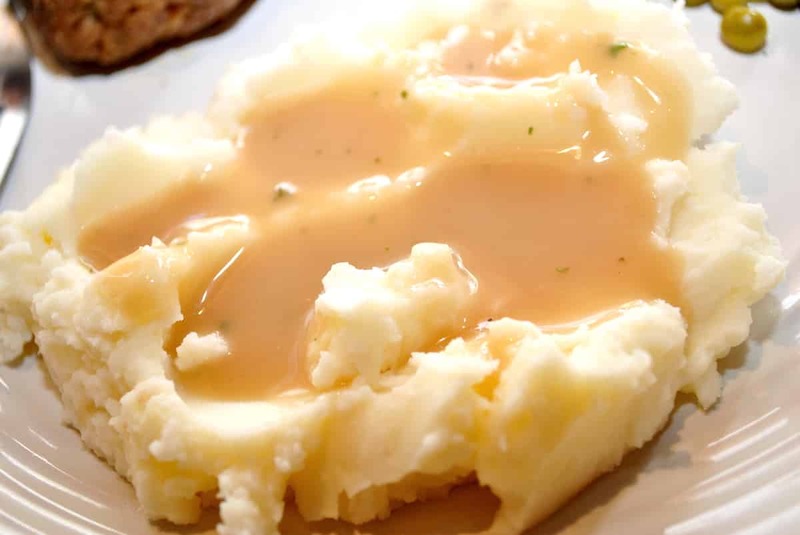 Simply place a piece or two of raw potato in the over-salted gravy and let it simmer for a few minutes. The potato will absorb some of the salt without adding any flavor to the gravy. You can remove and discard the potato before serving the gravy. One classic way to help tame too much salt is to add a roux. A roux involves cooking a paste made of butter and flour. 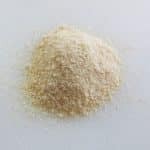 Typically used for thickening in French and French-inspired dishes, a roux can make a gravy less salty without diminishing flavor or texture. Like cream, acidity is another excellent solution for many different kinds of spice excesses. A little acidity will help to distract from the salt and thus make your gravy taste less salty. Of course, tart flavors must be used carefully or you could make things worse. Options for adding tart flavors include lemon juice, lime juice, or vinegar. Gravy is not usually consumed by itself. In most cases, it will be served over potatoes or meat. By reducing or eliminating salt in other components of the meal, you may be able to hide the fact that your gravy is too salty. 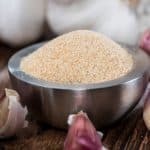 Too much salt can often be countered with sugar; however, you will have to extra careful when adding sugar to your gravy. Gravies are supposed to be savory and even a little bit too much sugar can ruin it just thoroughly as excessive salt. Add a small amount and increase in small increments to taste.